Softcover 6″x9″, 164 color pages. The locations of over 150 photographs are pin-pointed on trail maps with the dates taken to create an intimate year-round portrait of this New York State treasure. Visitor information for the Parks, as well as hiking and photography tips are included inspiring and inviting your own exploration. 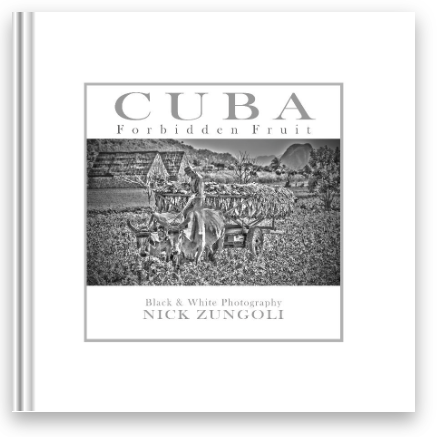 Hardcover 11.5″x 10″, printed in Verona, Italy, with handmade slipcase, 144 color pages. Signed Limited Edition of 3200. 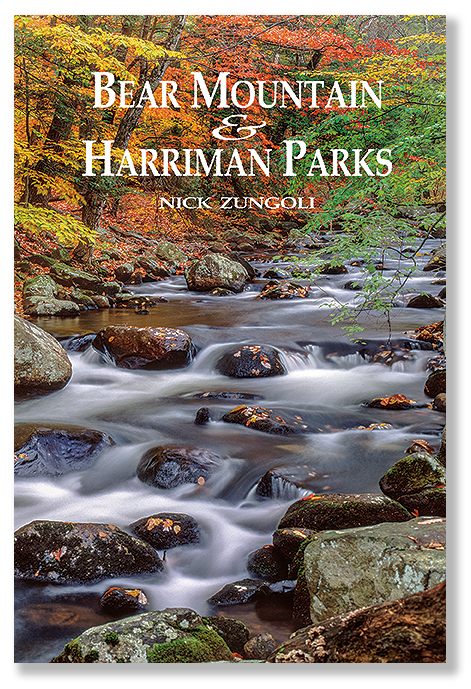 Chapters : The Hudson and Palisades, The NJ/NY Highlands, The Great Valley, The Delaware and Kittatinny-Shawangunks. 8″x 10″ Blurb Book, 80 color pages. $60 hardcover. 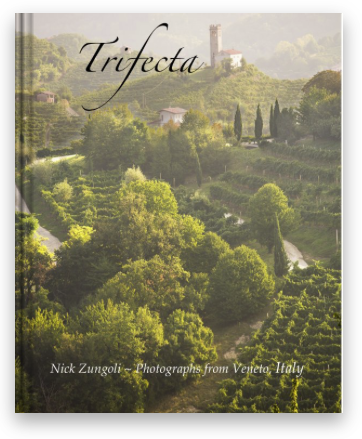 Trifecta explores three jewels of the Veneto Region of Northern Italy. Venezia, the magical city of islands, the Dolomiti, the cathedral like high peaks of the Italian Alps, and the Prosecco hills, home to the famous sparkling wine. 8″x 10″ Blurb Book, 40 color pages. $50 hardcover. 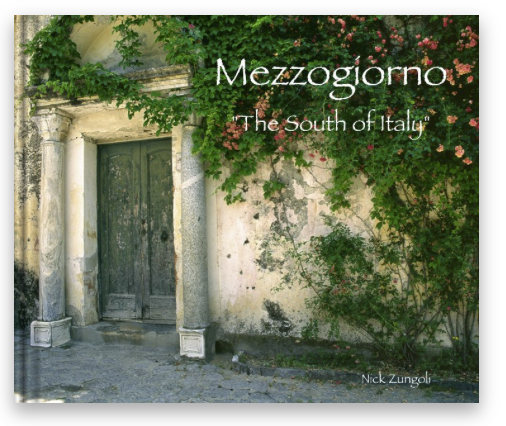 Images from photographer Nick Zungoli’s ancestral home… Zungoli, Italy. Included are photos from the nearby Amalfi coast as well as the rich agricultural provinces of Campania and Pulia. 6″x 9″ Blurb Book. 120 color pages. $40 softcover. 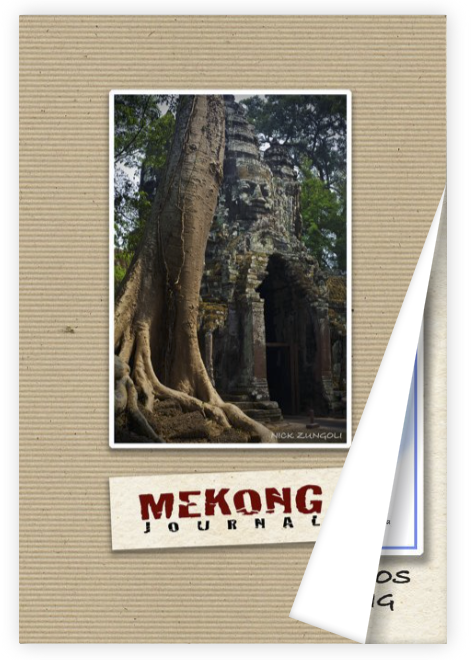 Images from a three month journey up the Mekong River through Vietnam, Cambodia and Laos. 12″x12″ Blurb Book. 56 rich black & white pages. $125 hardcover with dust jacket and original print (call for details). For the first time in my thirty -year career as a “color” photographer I have chosen to present a body of work in black and white”. The gritty textures of Havana, the people, retro cars and culture seem to predate color film. Black and white photography strips away distractions and bites deep into the unadorned subject matter. Chapters: Havana, Vinales, Trinidad.